A Ceramic Disc Capacitor is a fixed value capacitor in which ceramic material acts as the dielectric. It is constructed of two or more alternating layers of ceramic and a metal layer acting as the electrodes. The composition of the ceramic material defines the electrical behavior and therefore applications. 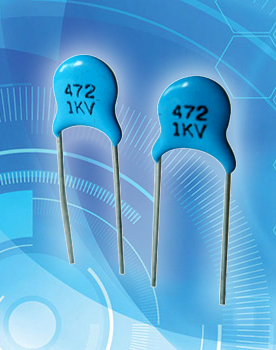 The two most common types are multi-layer ceramic capacitors & ceramic disc capacitors. Ceramic capacitors, especially the multilayer style (MLCC), are the most produced and used capacitors in electronic equipment. In DAIN we have 102K 1KV, 222M 1KV, 222K 2KV and others mentioned in the list.